Robert R Artwohl, M.D., P.C. 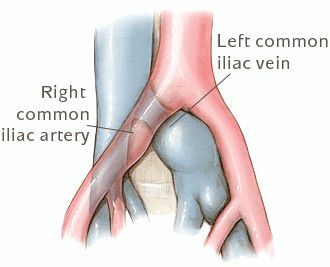 May-Thurner syndrome (MTS), also known as the iliac vein compression syndrome, is a condition in which compression of the left common iliac vein. 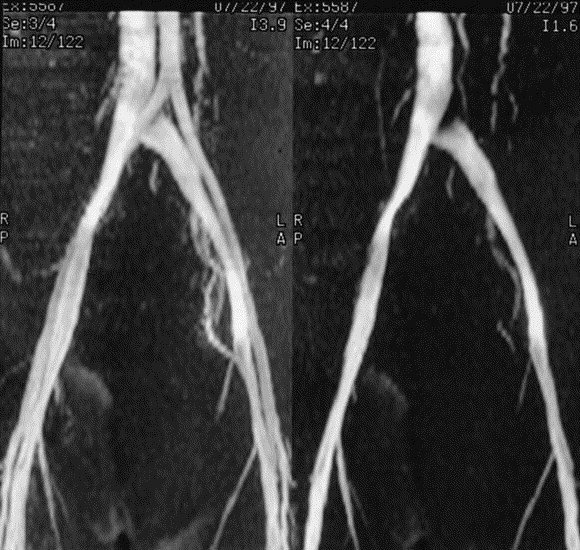 It most often presents as a DVT (deep vein thrombosis) of the left lower extremity, but in some cases can cause discomfort or swelling prior to DVT. 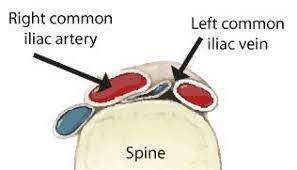 The problem is due to left common iliac vein compression by the overlying right common iliac artery. This leads to stasis of blood, which predisposes to the formation of blood clots. When May-Thurner syndrome presents as a severe DVT thrombolysis (dissolving the blood clot with clot-busting medicine) may be required. This may immediately followed by angioplasty and stenting of the iliac vein. This condition is more common in women. While it may be possible to diagnosis with an ultrasound, diagnosis is most often confirmed or ruled out by venous MRI or CT scan.